In addition to its primary purpose of death benefit protection, cash value Life Insurance offers tremendous value and flexibility that can address multiple needs that change over time. 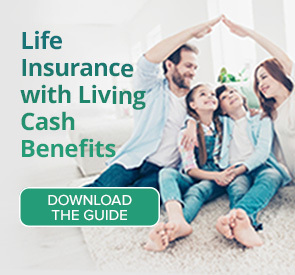 As financial professionals we need to remind ourselves about the many features and benefits offered by Life Insurance products that are supported by cash value even though the initial out of pocket cost may be higher. Cash value Life Insurance is built so that it can last a lifetime unlike Term Insurance that is temporary in nature. Is Term Insurance really the least expensive option if it expires before it is needed most by those left behind? That is a critical question to ask clients and prospects. Another important feature of Permanent Life Insurance is the ability to accumulate cash value for a variety of needs – including premium flexibility, supplemental college and retirement funding as well as liquidity events related to health or other emergencies. All of these needs can be met with properly designed cash value Life Insurance. And after almost a decade of talking about no-lapse UL and Term Insurance it’s refreshing to see the industry start to shift the focus back towards value. As a result, some of our core carriers have introduced next generation Individual and Survivorship Universal Life products that provide strong cash accumulation along with solid death benefit guarantees. Together these features provide clients with the value they desire in a world where flexibility is becoming a must. For more information please contact your Life Sales and Marketing Associate today.